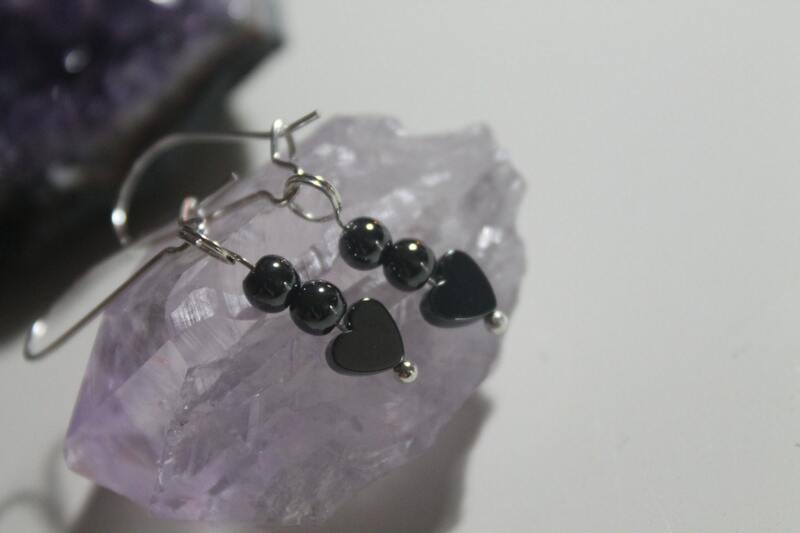 Silver plated dangle earrings of Hematite. Dangle earrings measure approx. 4.5cm in length. 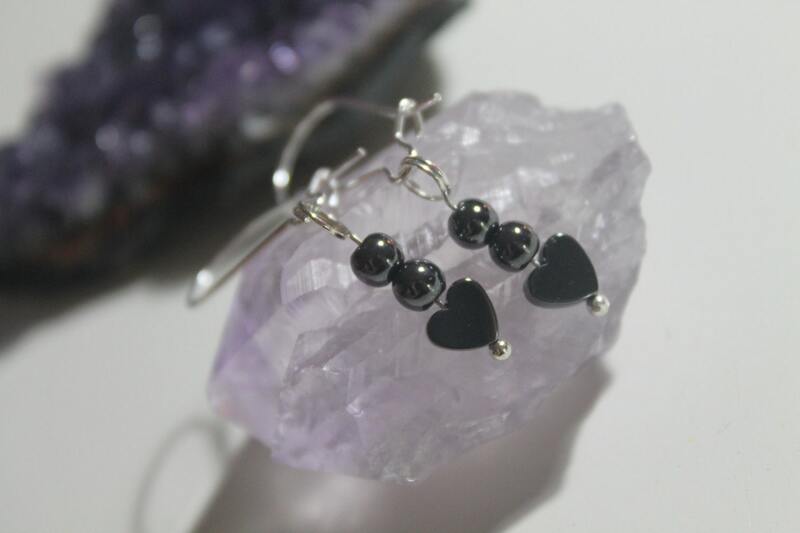 Hematite is particularly effective at grounding and protecting. It harmonizes mind, body and spirit. Used in out of body journeying, it protects the soul and grounds back into the body. This stone has a strong yang element and balances the meridians, redressing yin imbalances. It dissolves negativity and prevents negative energies from entering the aura, restoring peace and harmony. Psychologically, Hematite is strong. It supports timid women, boosts self-esteem and survivability, enhances willpower and reliability, and imparts confidence. this stone removes self-limitations and aids expansion. It is a useful stone for overcoming compulsions and addictions. 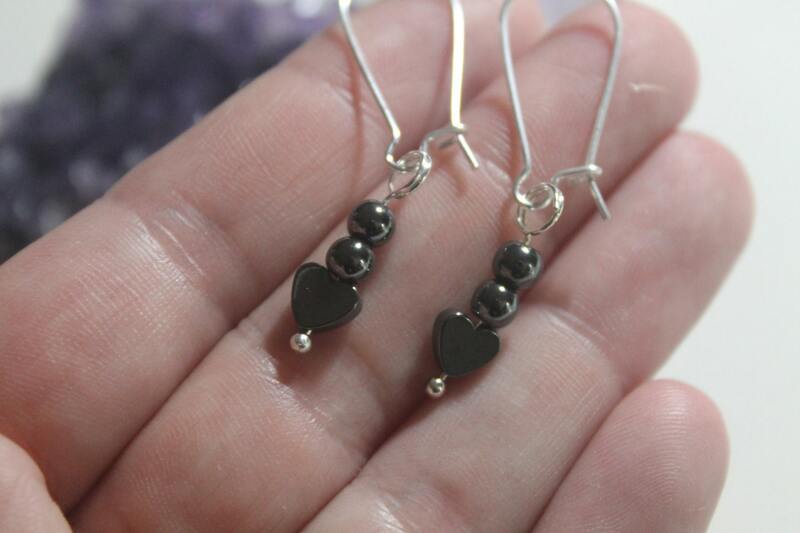 Hematite also, stimulates concentration and focus. It enhances memory and original thought. It is said to be beneficial for legal situations and is a useful stone for the study of mathematics and technical subjects.